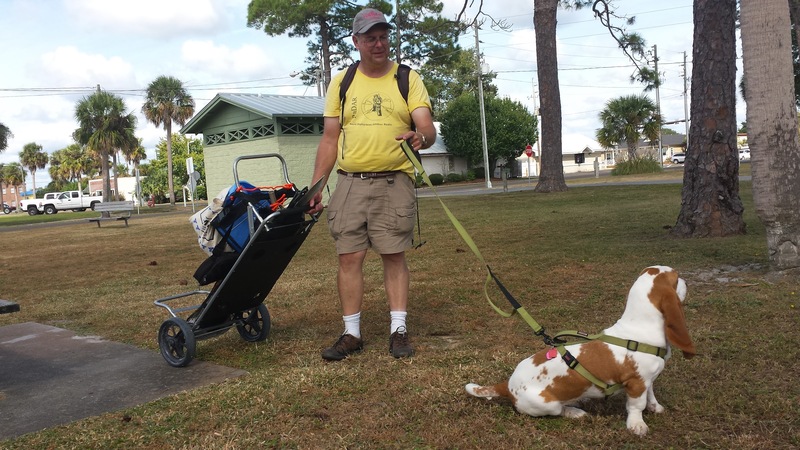 Suzy leads me down the Bay Walk path for my RaDAR warm up Saturday in Port St Joe, Florida. I did two transitions of about 1.5 kilometers. When she was younger, it was hard to make much forward progress on walks but at 11 months old she gets the idea. RaDAR by the way is Rapid Deployment Amateur Radio. A RADAR operator on foot moves at least one kilometer after making five contacts to the next location. 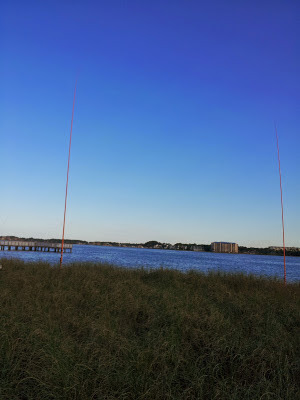 I started at Pate Park and made five contacts, walked the Bay Trail to the Jetty Park, made five contacts and walked the Trail back to Pate Park. To finish I went out to a pavilion over the bay at Pate Park and made the last five contacts. I pulled a beach cart along with many antenna options. You may find the antennas I used interesting as they are handy for RaDAR. 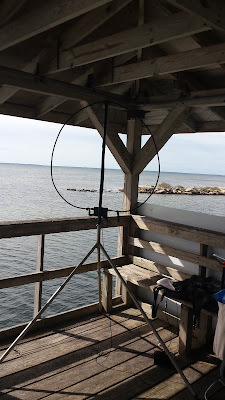 At the first location I used the Chameleon Hybrid Micro with the 60 foot wire in an inverted L. I started on 40 meters but with the tuner in the KX3 I can switch to any band quickly. I took advantage of a pine tree to support the wire. Chameleon Hybrid Micro with the 60 foot wire and an Inverted L.
At the second location there were no trees. I used the Chameleon Hybrid Micro again but with a vertical whip. Chameleon Hybrid Micro with the MIL Whip. At the the third location which was a pavilion over the bay. I used the Alexloop magnetic loop. 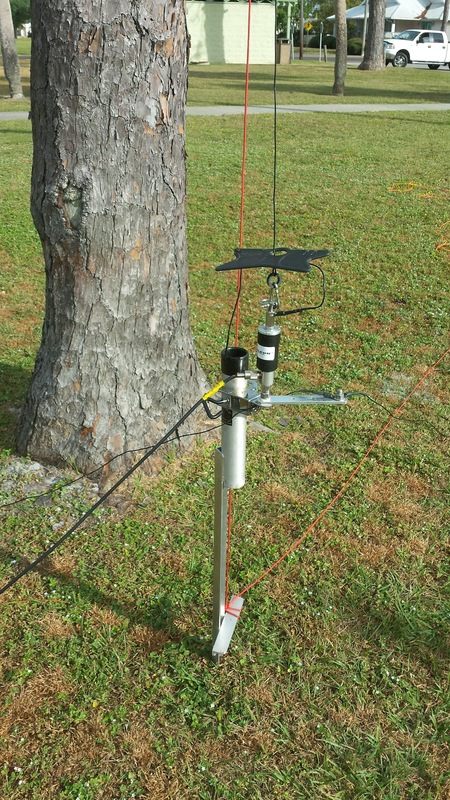 For RaDAR antennas with ease of setup and band flexibility are advantageous. 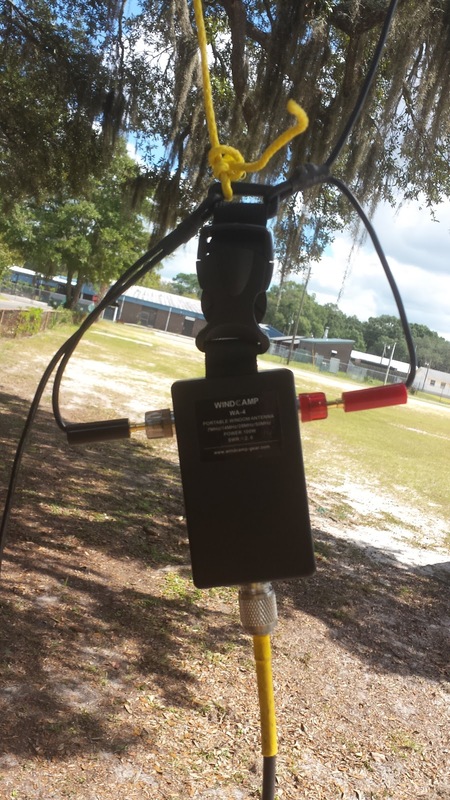 A dipole is an excellent antenna but it can take more time to setup than you would think. 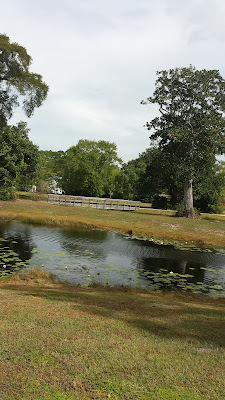 On Sunday, I chose the South Forest Park in Port St Joe. I chose to slim down to just the backpack for an RaDAR Excursion. 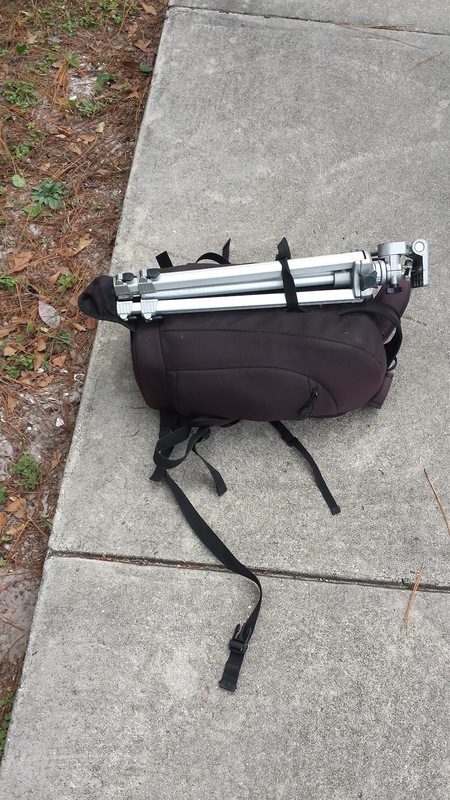 I can pack the Alexloop in my backpack and store the tripod on the back of the pack. I also packed the LNR Trail Friendly End Fed. It is the lightest antenna I have. I deployed it instead of the Alexloop and worked some of the DX on 10 meters. 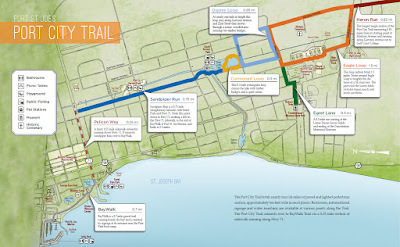 Suzy and I did a one kilometer walk on Sunday. Here is a view along the way. There is more to this story. On Saturday I was joined by Ron KK4DWE at Pate Park. 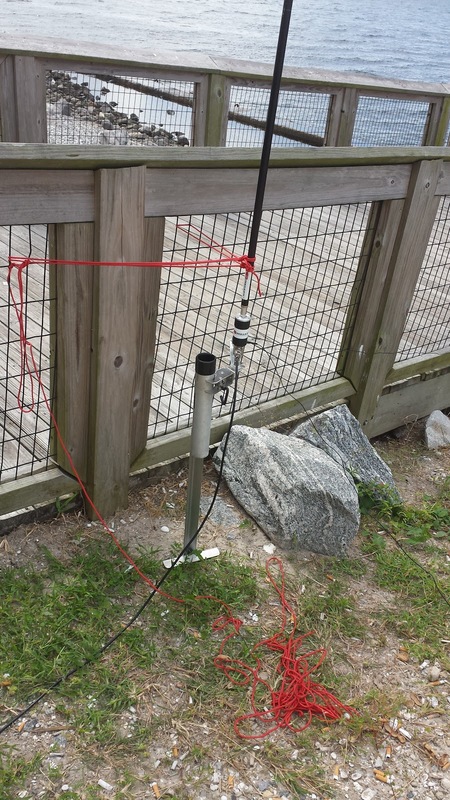 He was able to check into his MARS nets late in the afternoon using his Buddipole. Also Mac W4NFG dropped by and chatted with us. RaDAR is a cooperative activity. Fixed and other portable stations can help you get your five contacts so you can move to the next location. 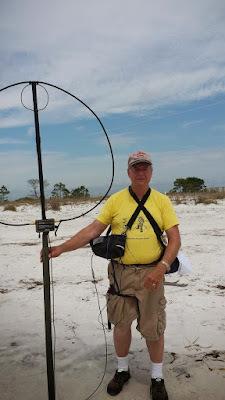 I had several of my contacts with Ron KK4DWE between parks, I also had several contacts from friends in Panama City including Bob WB4BLX and Mike KM4ELJ. On Sunday Bob WB4BLX went portable in Panama City and gave me some contacts. A final note Tom WD0HBR of Dothan, Alabama was portable in Niceville, Florida. 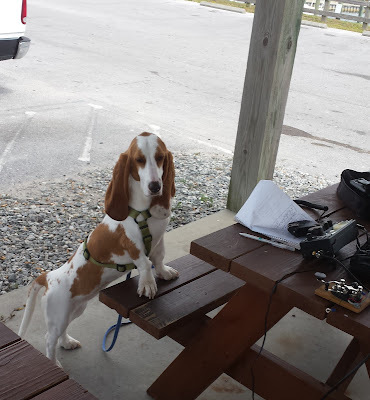 He found me on 40 meter CW. He was running 5 watts to a random wire. About the same time Bob WB4BLX came on. 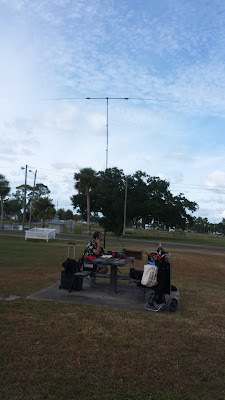 We had a super three way QSO with all stations deployed portable. That is hard to beat. I thoroughly enjoyed the long weekend. I got in plenty of practice packing up and hiking between locations for RaDAR. The RaDAR Challenge is November 7th. There was so much going on Friday through Sunday, I cannot cover all it in one post. Linda, Suzy and I made it a long weekend as Linda worked Saturday and Sunday in Port Saint Joe. 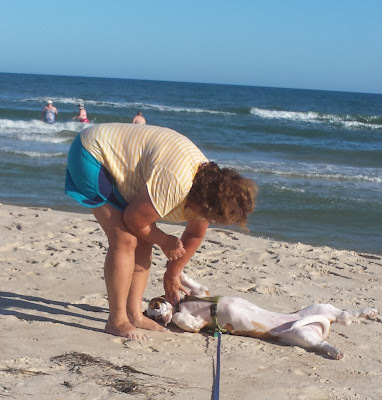 Friday we made it to St George Island. 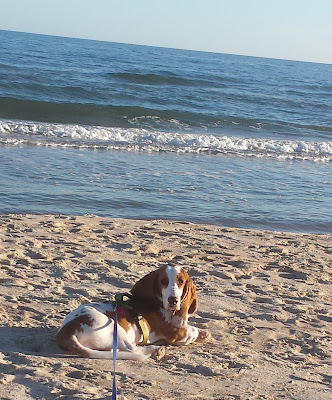 Suzy really takes to the beach. 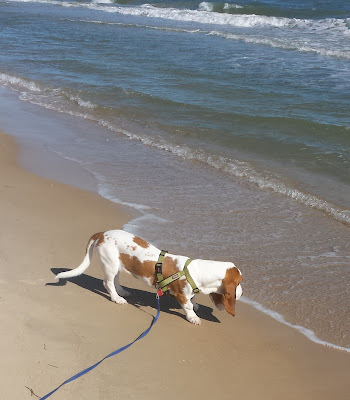 She toys with the surf coming in, but never gets her feet wet. She chases any moving wildlife, birds, crabs and the like. I could go on but see the photos. 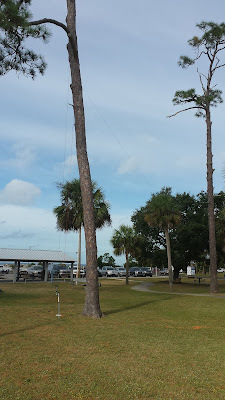 Saturday and Sunday I made several excursions between parks in Port St Joe for RaDAR practice.. When she was much younger it was difficult to make much hiking progress as she sniffed everything. I was surprised that now she will lead the way on the trails. So she is ready for some serious RaDAR. All in all she had a blast this weekend including climbing into the bed at the hotel, sharing my lunch and conning passer-bys out of a belly rub. Mac W4NFG who lives in Port St Joe paid me a visit in person. He later contacted me from his home. 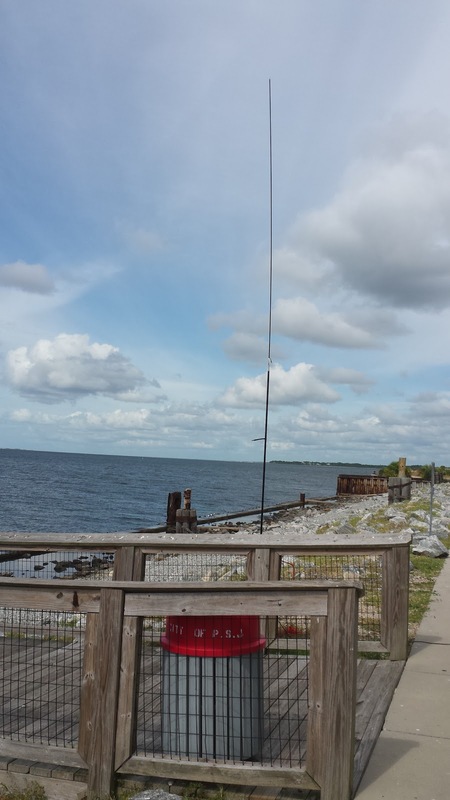 I was able to work friends Bob WB4BLX and Don KK4DWC in the Panama City Area on 40 meters SSB. I also worked Bob on 40 meters CW. Although our club did not do JOTA this year. I chatted with scouts doing JOTA from two locations in Florida, Alabama, and Oklahoma. I also worked my Friend Tom WD0HBR in Dothan. 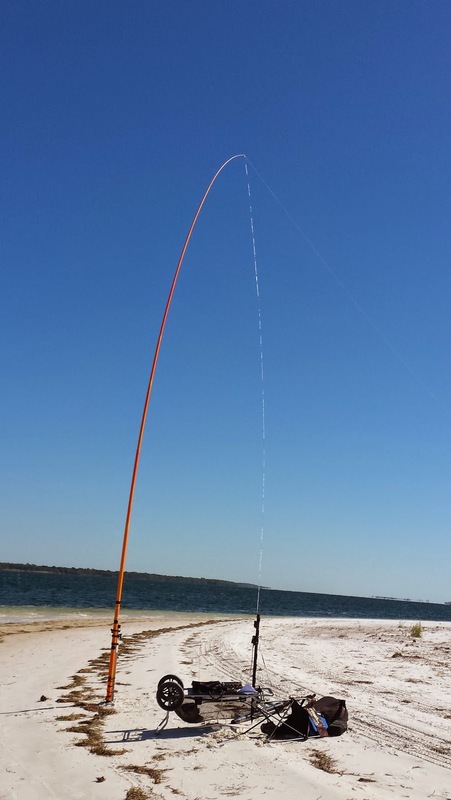 He was running 5 watts CW to a random wire antenna. I have friends in Sturgis, Michigan John W8JER and Micky KE8ASK. 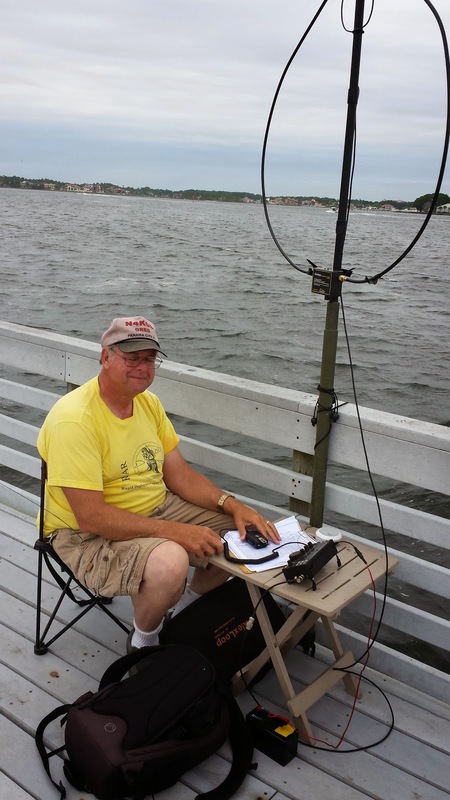 John's station was booming in on 20 meters SSB. We had a good chat. John and Micky will be coming down in January to winter in Panama City. 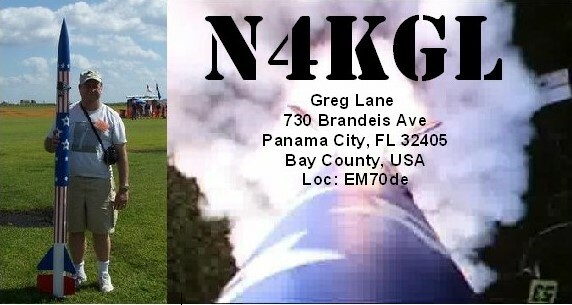 My friend Jim K4LIX from Panama City got a signal through on 20 meters he was about 30 miles away. John VA3KOT of Ontario, a RaDAR community member, found me on 20 CW. He said they had snow up there. To my surprise 10 meters was open and I worked my SKCC Friend Bert F6HKA on CW. I have worked Bert on almost every HF band. He took several minutes to chat. For the contacts above I used a Wind Camp 40 meter Off Center Fed Dipole hung at least 30 feet high in a pine tree. It fit the bill for my 40, 20 and 10 meter contacts. S57DX Slavco on 17 meters SSB. All together I made 18 QRO contacts and 10 QRP contacts. We had perfect weather and good HF propagation. 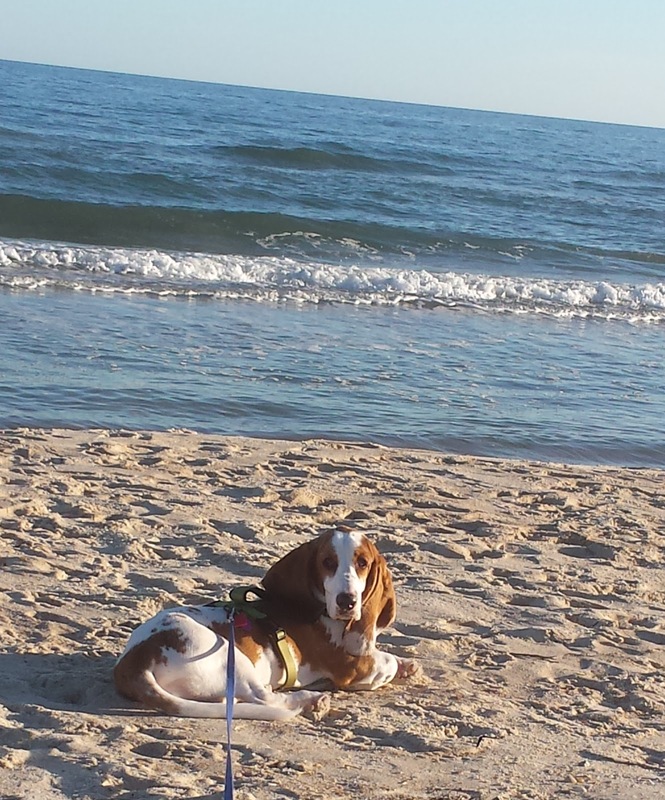 Suzy and I enjoyed the day. 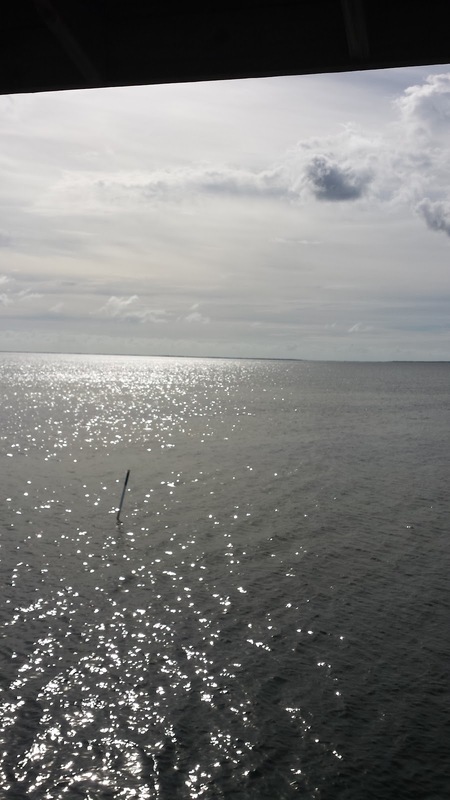 The Cape San Blas Lighthouse was in view. 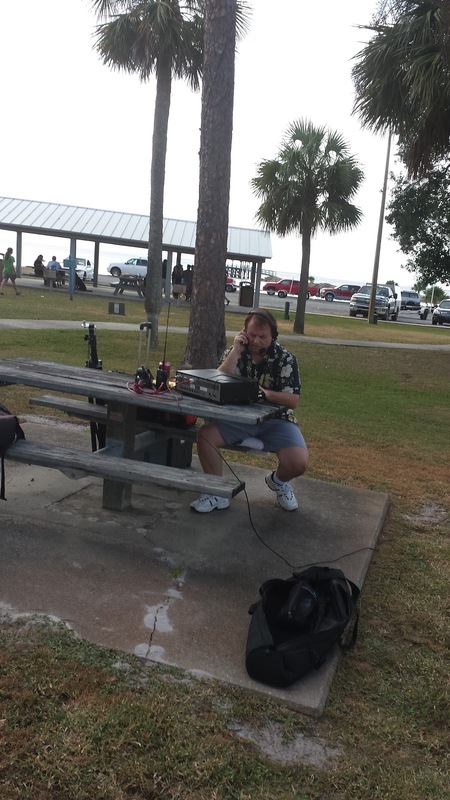 I enjoyed a beautiful Sunday morning operating portable here in Northwest Florida. 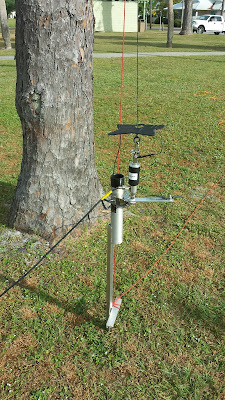 My rig was the LNR Mountain Topper and the antenna was a Wind Camp 40 meter off center fed dipole hung from an oak tree. 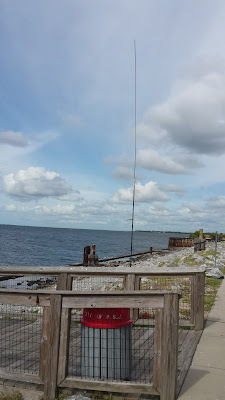 I had good luck working SKCC stations on 40 and 20 meters CW. The Straight key Century Club was having a Weekend Sprint. ﻿I also enjoyed having three ham visitors, Vic K4GXV, Bob WB4BLX and Phil N4STC. The scene at the park. The house is across the street. I used a weight to hang a line over this handy limb. Per Eddie ZS6BNE: On the 7th of November 2015, from 00:00 UTC to 23:59 UTC, is the International ham radio RaDAR challenge. This challenge is different to any other in the world. You have 24 hours to make as many contacts as you can but what is different here and what you need to take into account, is you need to move your station after ever 5 contacts for a particular distance depending on how you move. 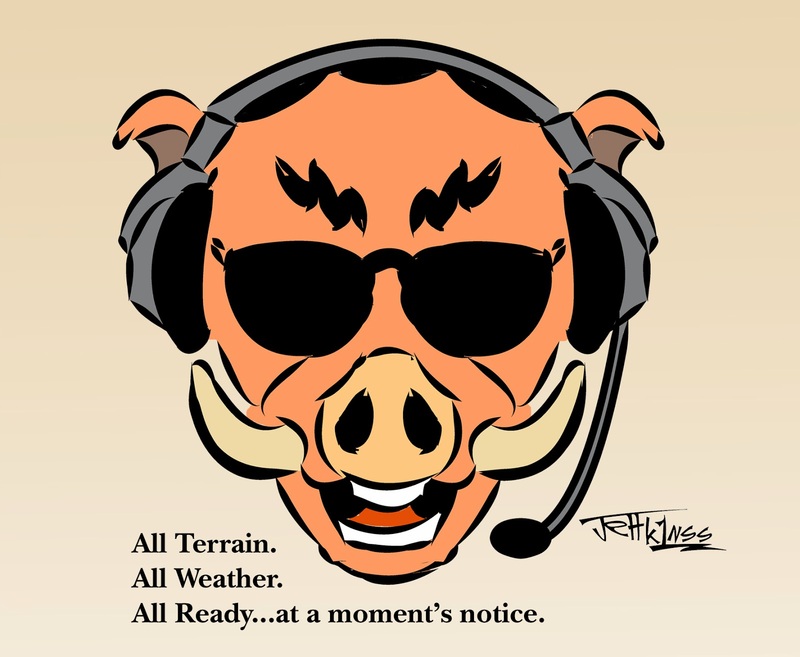 This applies to RaDAR moving stations only. You may want to take part as a fixed RaDAR station or field station. Your choice! RaDAR is Rapid Deployment Amateur Radio. 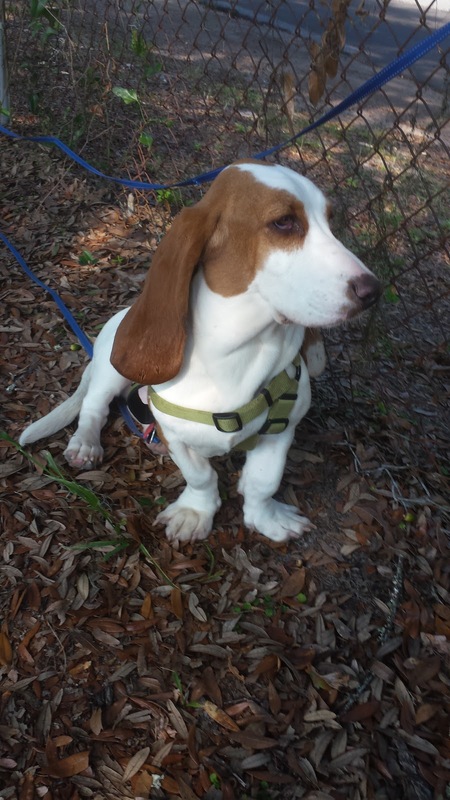 If RaDAR appeals to you visit Eddie's Blog and the Google+ RaDAR Community. Below are links and photos of my previous RaDAR Contest/Challenges. They all have been at Saint Andrews State Park near Panama City, Florida. Lots of fun to be had! 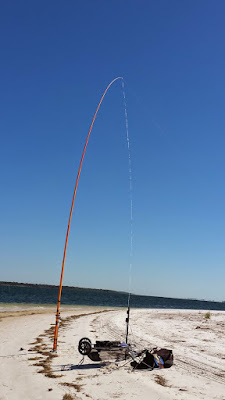 We setup our rigs but did more rockets than radios at the October 3rd SEARS Rocket Launch in Samson, Alabama. Don KK4QAM, Bob KK4DIV and his Step-son Michael attended. Bob and Don are members of the RaDAR Community on Google+. Enjoyed it Guys!